Doesn’t something tropical sound good right about now? We are having real winter weather here right now, and I’m feeling the need for some tropical heat. Since that isn’t going to happen for a while, I decided to do the next best thing – cook some tropical foods. 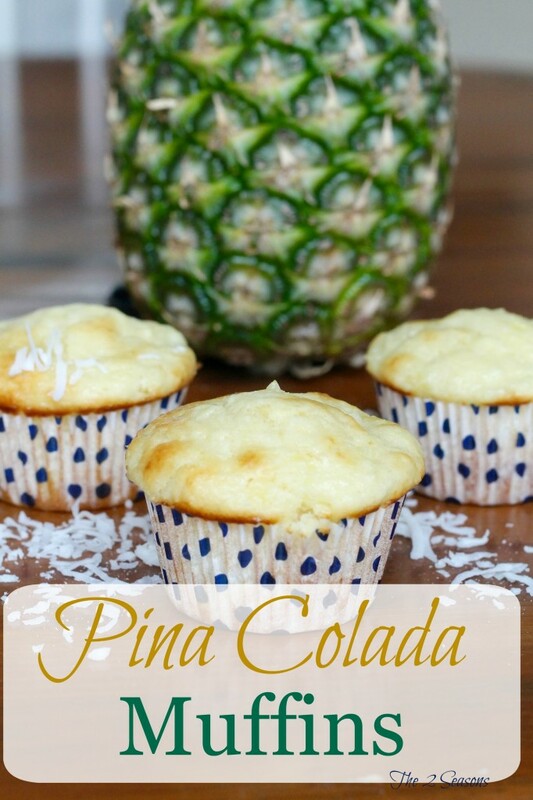 Pina colada muffins came to mind, and they turned out to be really good. I thought you might like these muffins, too. You probably have most of the ingredients in your pantry, and they don’t take long to make. Plus, they freeze well. Give them a try this weekend. This recipe came from Allrecipes.com . In a large bowl, combine sugar, margarine, egg, sour cream and rum extract. Beat together until smooth. In a medium bowl, mix together flour, baking powder, baking soda and salt. Blend into egg mixture. 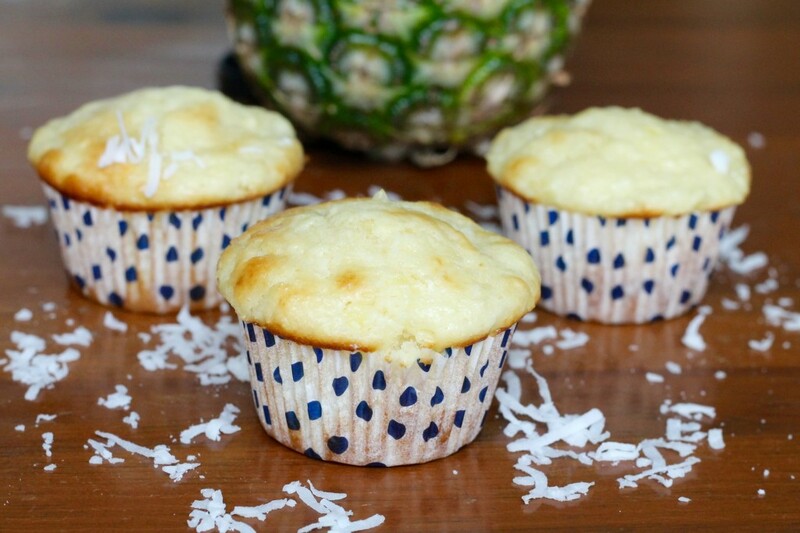 Stir in pineapple and coconut. Divide batter into 12 muffin cups. Bake in preheated oven for 20 to 25 minutes, or until the tops spring back when lightly tapped. This is a great treat for an after-school snack, afternoon tea, breakfast, or brunch. If you add a glaze to it using the drained liquid from the pineapple, it would very easily make a dessert.